These programs and services were designed with retailers in mind to increase sales and profitability. From programs that expand your offering without adding inventory to programs that help you add niche areas, Orgill has the solutions for your store. Impulse merchandising can help you increase your transaction size. By strategically placing impulse items throughout your store you can capture additional consumer sales. 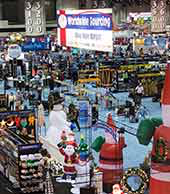 Orgill can help you with various techniques including cross merchandising, clip strips, endcaps, seasonal items, consumables at the checkout and more. Use impulse items throughout your store to enhance your profitability and your customer's experience. 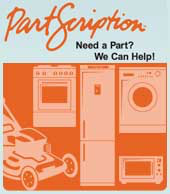 PartScription offers over 9 million appliance parts in a single search-and—order platform for improved selection, service and profitability. The program provides an integrated solution that eliminates cost, lost time, money and frustration invested in equipment management across the appliance, electronics, lawn and garden, HVAC, vacuum, commercial kitchen and laundry categories. Become the single-source solution for repair parts in your area. 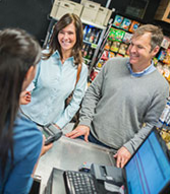 Orgill has developed over 2,000 retail assortments to meet your store's specific needs. 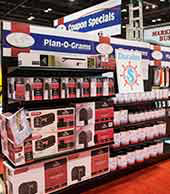 Planograms are available in all departments and in many sizes to fit any size store. Use the planograms to meet the demands of your market, maximize your space and make your store easier to shop. Review planograms and order quantities and quickly add an entire planogram to an order with one click. Orgill's WorldWide Sourcing Program can help you compete effectively in today's competitive marketplace. Using our unparalleled global reach and volume purchasing power, WorldWide Sourcing brings you a broad range of popular products at price points that keep you in the game. Orgill has gone direct to factories to get the right products with the right features at the right price. Compare our Worldwide Sourcing products feature for feature across all price ranges and you'll see the tremendous value that they offer When compared to national and popular imported brands.